The French Senate rejected a motion calling on the government to introduce basic income, but it still decided to form a parliamentary commission aiming at investigating the idea. 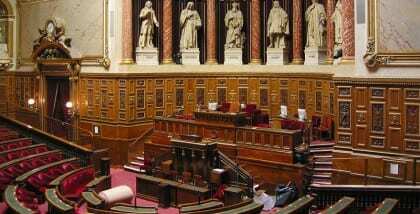 Last week was a busy week for basic income in the French Senate. The National Assembly had already debated the topic of basic income several times in the past few months (amendment to the Budget Bill of 2016 and Amendment to the National Digital Republic); it is now the Senate’s turn to look deeper into the question of a basic income implementation in France. Jean Desessard, Senator from the Green Party, who had contributed to the organization of a debate in the Senate last year on this same topic, tabled a draft resolution on May 19th that called on the government “to take the necessary steps to introduce a basic income”. This political move lead to almost two hours of debate (see the video here) among Senators from left to right, most of whom declared that they were open to this idea yet needed to dig further. Most MPs admitted that basic income was an interesting issue that needed to be explored in more of its details, potentially with the funding of feasibility studies and pilot-projects. Only a few MPs were more cautious, fearing that basic income would discourage people to work and would promote laziness. The resolution was eventually rejected by a large margin. In fact, only the Ecologist group (parliamentary group composed with MPs from the Green parties: EELV and Ecologistes!, and one MP from the Socialist party), and one Conservative MP voted in favor. However, the fact that the Socialist group and the Centrists decided to abstain signalled that they did not oppose the topic in principle, but rather the actual proposal of committing the government to implement it directly. They thus showed that they were open to the debate and willing to study further the possibilities on the topic. In fact, the Socialist group decided in parallel to support the initiative of its member Daniel Percheron, who proposed to form a parliamentary ‘mission of information’ that will enable MPs to work on “the interest and possible forms of implementation of a basic income in France”. Within this framework, 27 Senators from different political groups will debate the topic and present their results by the Fall. The French Movement for a Basic Income was consulted on the 9th of June on this matter. Given all these political moves, not only in the Senate but also in the National Assembly as well as from some members of the current government, we can now say that basic income has reached a milestone in the public debate, and will certainly be a key topic in the upcoming presidential and general elections to take place next year.